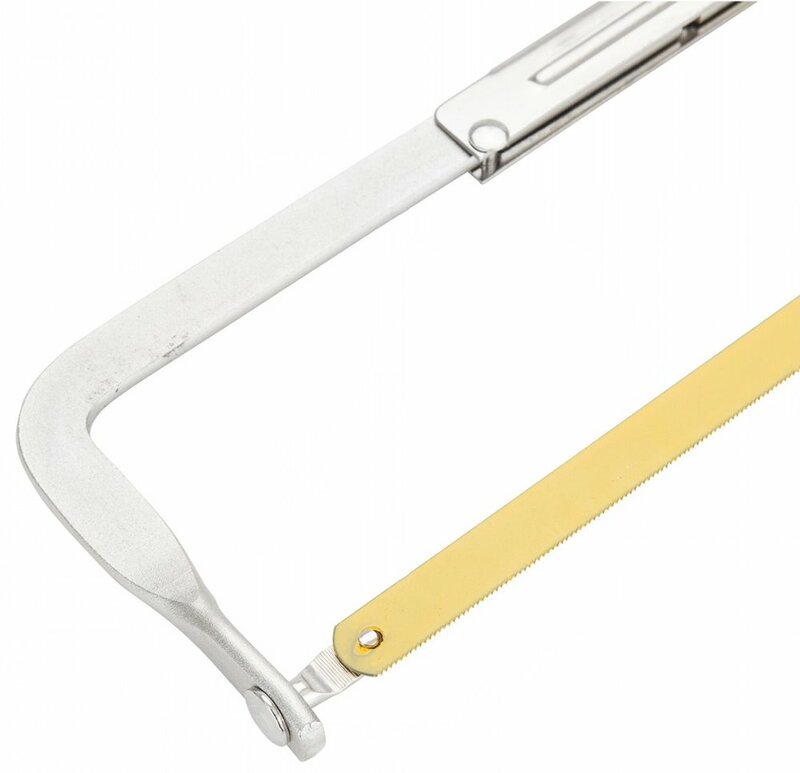 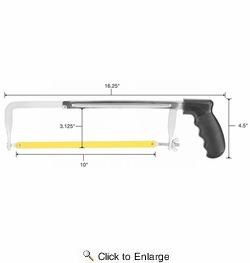 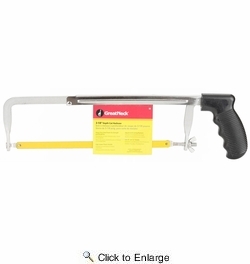 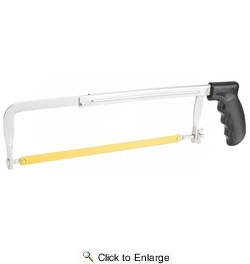 The GreatNeck 12-Inch Adjustable Pistol Grip Hacksaw is ideal for cutting glass, ceramic tile, hardened steel or bone, and a variety of other materials at home or on a job site. 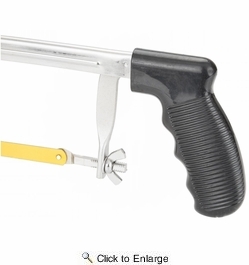 Its (4) cutting positions and 3" cutting depth offer a range of applications. 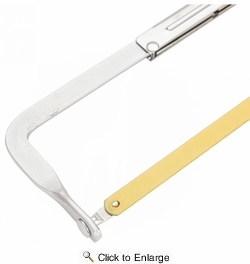 The strong and durable frame is made of heavy duty steel and can accept 10" and 12" hacksaw blades. 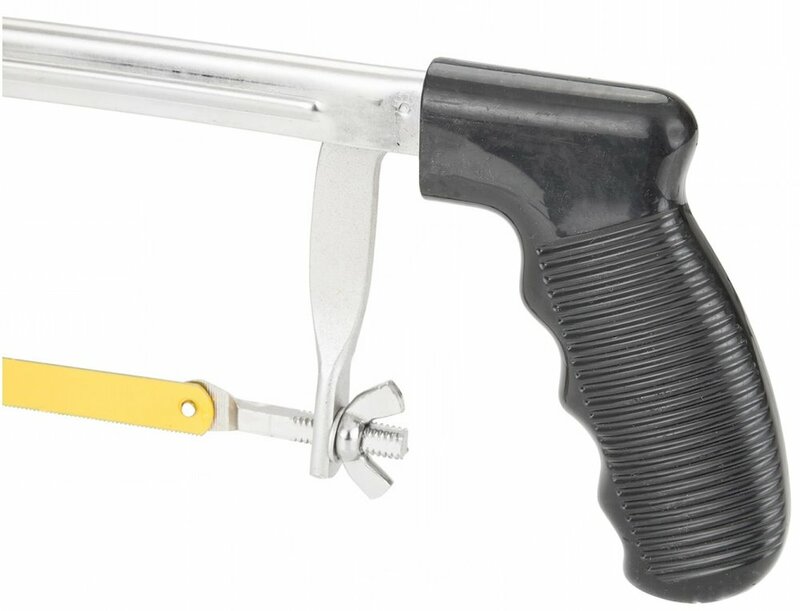 A high impact pistol grip handle with finger grips offers superior comfort and increased control.